Order Homestyle Indian meals for delivery or curbside pickup. We offer a homestyle South Indian, Gujarati and Punjabi food menu, including ready-to-eat Rotis and dosa/ idli batter. 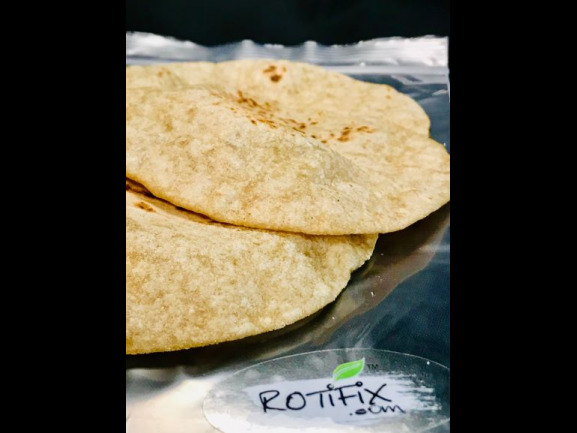 See How Rotifix prepared meal service works here. Fresh, wholesome home style meal served with two entrees, basmati rice, two rotis, kachumber salad and pickle. Gujrati dal is a staple food made from Tuvar dal (Split Chickpea). It has a sweet and sour taste due to the inclusion of jaggery. Sambar is a lentil-based vegetable stew or chowder, cooked with tamarind broth, originating from South India. 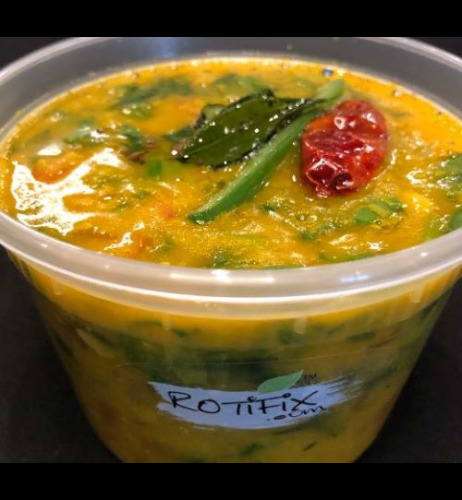 Pappu is a southern Indian specialty, aka Tavve in Karnataka, is a flavorful tamarind-based dal which contains spinach, tomato, moong and toor dal tempered with spices. Rasam, chaaru, saaru or kabir is a South Indian dish, traditionally prepared using tamarind juice as a base, with the addition of tomato, chili pepper, pepper, cumin and other spices as seasonings. 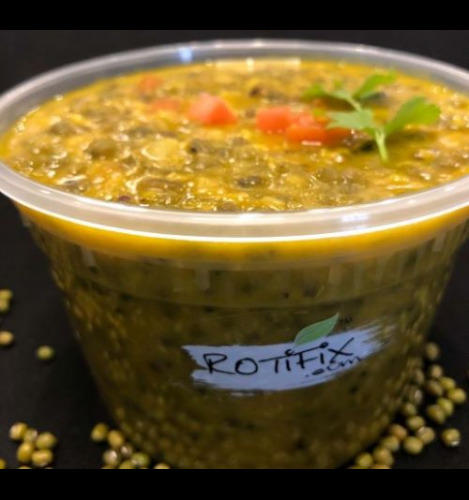 Green Moong (Whole Green Lentils) is cooked with mild spices in this recipe. Jeera Dhaniya Aloo is a classic dish. Jeera accentuates the taste of this recipe. This is a perfect fusion of flavors and crunchy potatoes. Vathal is basically berries that are soaked in buttermilk for hours overnight and later sun dried. The gravy provides a combination of sour, bitter, spiced, salty and astringent taste. Made with a melange of Indian spices, this fish Curry is a special picked up from the streets of Bangalore. Sabut Masoor Dal is a healthy dish made from whole Masoor (brown-skinned whole lentils) which is cooked in an onion-tomato masala. Rasawala (Gravy) batata (Potato) curry. This literally means Potato Curry with gravy. This north Indian dry dish combines Cabbage and Green Peas with mild spices. Ground Lamb and peas sautéed in a thick mixture of stimulating flavors. Home made chef prepared, delicious Indian meals prepped, cooked and delivered to you. Or just order, grab and go. Making life simpler and more enjoyable.